What is the aluminum foil strip used for a reactor? Reactor is a kind of electromagnetic device which uses electromagnetic induction principle to transfer energy and information in the electric appliance. Its material consists of four kinds: 1. magnetic material 2. conductive material 3. insulating material 4. structural material. Conductive materials: Conductive materials are used to form electrical circuit, it is mainly composed of conductive metal or other materials. Conductive materials are divided into: enamelled round copper wire, enamelled flat copper wire, wire-wrapped glass wire wrapped round copper wire, glass wire wrapped flat copper wire, copper strip, aluminum foil strip for reactor. 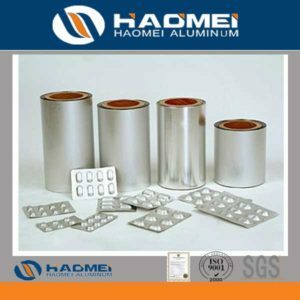 Aluminum foil strip for reactor is generally used as high current reactor, 1060 1070 1350 1370 aluminum strip is commonly used, the thickness is generally more than 0.5mm, the width is more than 100 mm, require to do side arc treatment, conductivity is more than 62%. ← What is the performance of a 5052 color-coated aluminum sheet coil?